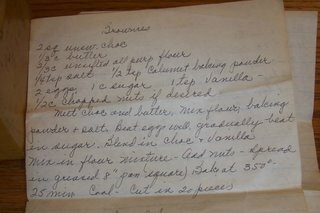 Grandma always baked these brownies and layered them with wax paper in empty Entenmann's boxes wrapped in twine. wow brownies. This is the kind of stuff i'm totally deprived of in the UK.